It’s inspired in part by the fact that a framed limited edition copy of the above print, signed by the photographer, hangs directly above the space in my house where I have the PC and where I try my best to come up with entertaining words for this blog. It was given to me a year ago yesterday as a 50th birthday present by a dear friend and occasional contributor to the old blog, Mr John Greer. 2. Self-deprecating and joyous; and impossible not to dance to. 3. Pride of place as the centrepiece of the all-important opening side of the album. 5. Because Asleep has to follow Rubber Ring. It is the law. And besides it’s time to show the band didn’t need guitars to be very special. 7. Every LP recorded by The Smiths had its share of tear-jerking ballads. This is the one I’ve chosen, after much deliberation. 10. It’s not a personal favourite but I can’t think of a better way to have a one-off record by the band beautifully fade out and leaving the listener wanting to pick up the vinyl, turn it over and start all over again. 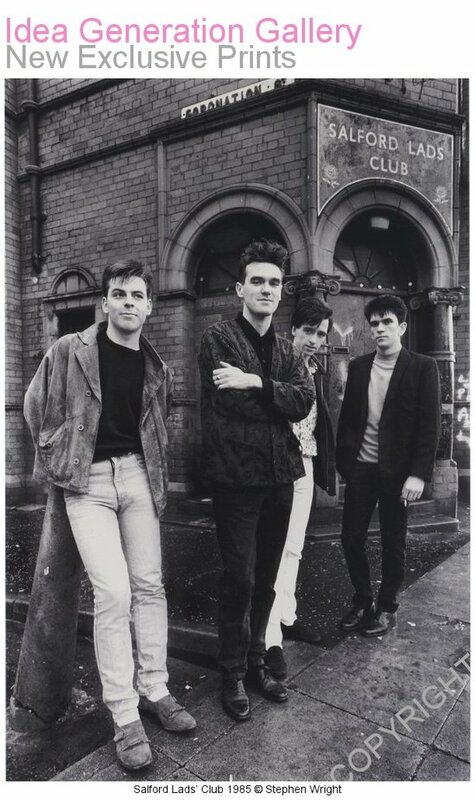 mp3 : The Smiths – How Soon Is Now? That was incredibly difficult to do. I’m impressed it only took you 3 hours. I’d struggle to whittle their discography down to fit a double album! Great idea. Can I do a spiritualized one? I would find that almost as difficult. I did it once with primal scream and gave up after my top ten had 23 songs. Currently reading Moz’s autobiography and along with the other books I’m amazed that the popular opinion of the debut being a dud. From that Still Ill is a must. Could compose 5 or 6 different tracklistings and still quibble. But on this one I’d swap Asleep for Well I wonder. What a great idea and what a fantastic result – in only 3 hours. Congratulation Sir. Looking forward for the upcoming compilations. i’m hoping to see the wedding present and the pixies in this series… if you need any help with those give me a shout!